Comparing news outlets to terror organizations is jeopardizing the very foundations of freedom of speech in the US, Blanquita Cullum, ex-Broadcasting Board of Governors member, said after BBG’s new boss placed RT on par with ISIS and Boko Haram. “The First Amendment has always meant freedom of speech and a variety of voices. A news outlet isn’t a terrorist,” Cullum told RT’s show, The Big Picture. “I may disagree vehemently with, for example, MSNBC, but I will always fight for their right to be heard because if they are not able to be heard, I am not able to be heard,” she explained. Earlier this week, the new chief of the US Broadcasting Board of Governors (BBG), Andrew Lack, told the New York Times that RT poses a significant challenge for his organization, putting it on the same list as ISIS and Boko Haram terror groups. BBG is a bipartisan US federal agency, which is responsible for supervising all American government-sponsored international media – from Voice of America to Radio Free Europe. “News is never dangerous – except for people who don’t want information in the public realm – even when this news has an edge, a point of view of foreign ownership, news and commentary isn’t terrorism,” he said. “Funny that the West is allowed to have a $700 million operating budget to spread its pro-American points and talking points across the planet, yet when Russia does it – it’s downright unacceptable,” she said. “Guess what, all news is propaganda. Because all news organizations pick and choose, which stories they want to talk about because it falls in line with their particular point of view,” she said. “It destroys this hegemony, opening space for new perspectives on the news, giving word to new characters that are ignored by the US media,” he told RT’s Spanish channel. 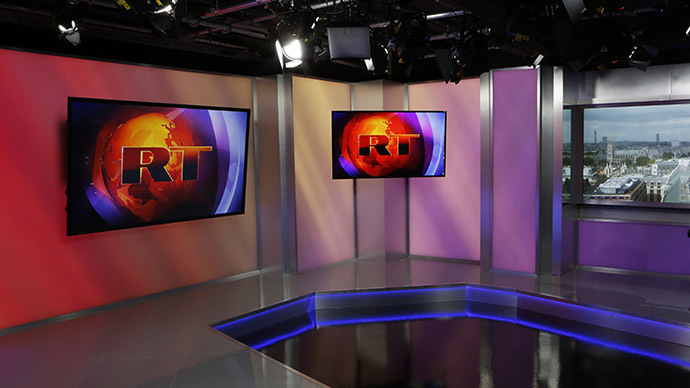 The head of Ecuador’s Radio Publicade, Giovanna Tassi, underlined the “important role,” played by RT in the global media field. “It balances the information, using sources which the US is unlikely to take into account,” he explained. International organizations should condemn US policies aimed against RT “as if it was a military target,” the director of Venezuela ‘s Ultimas Noticias paper, Eleazar Diaz Rangel, said.